No problem will stick them up on the classifieds now. If you do the fronts let us know how it goes too. Maybe take one to work and see if I can find anything. Where did you get the screw that you ended up using? Thanks. Might take the plunge and go for it as have been trying to get the DIY version to work for a while with out great success. One last question, take it the fog light still works correctly also. Thanks for the info think I have found them, https://www.ebay.co.uk/itm/UK-LED-Taillight-For-VW-Golf-GTI-R-7-5-7-MK7-5G-Dynamic-Tail-Rear-Lamps-Lights/264029671972?ssPageName=STRK%3AMEBIDX%3AIT&_trksid=p2060353.m1438.l2649 What are the extra wires sticking out for as seen in this photo. One is for the reversing light I take it but what is the other for. Have you got the link to these please? Are they plug and play no adaptors or anything just a straight swap? Any one had any experience with RotorDisc? Found these on Ebay and look OK are handed and coated also. https://www.ebay.co.uk/itm/REAR-DRILLED-GROOVED-310mm-BRAKE-DISCS-FOR-VW-GOLF-MK7-GTI-GTD-2-0-TSI-R32/232548900718 https://www.ebay.co.uk/itm/ROTORDISC-REAR-DRILLED-GROOVED-340mm-BRAKE-DISCS-PAIR-FOR-VW-GOLF-MK7-2-0-GTI-R/362473185494 Would be using Tarox Strada pads to go with these. I got hold of the S3 version removed the Audi badge and filled the indent with Big boy plastic flexi filler, sanded and painted it. Revo Vs JF Automotive Stage 1? Emailed JFA earlier asking about pricing as thinking about getting stage 1 soon to compare with Revo and below is the info that I got back if anyone is interested. We can offer the JFA Stage 1 Performance engine remap for your vehicle giving an increase in power of up to 60-70BHP and 100Nm of Torque over and above manufactures figures. Although peak power numbers (like these above) help sell tuning, its only half the story. If your looking for a true driving transformation then you will benefit more from mid range power that holds all through the rev range giving vast improvements in drivability for day to day driving. One more important factor to remember is engine safety, we design our software to achieve the highest possible performance whilst maintaining the vehicles’ longevity and drivability without compromising on reliability. Up to 15% more fuel efficiency can be achieved from the JFA eco-Blue remap and as much as 10% from our Performance option. We perform a health check first to establish that there isn't any underlining faults, then if you opt for a dyno session we will data log selected engine parameters on the dyno to use this data to create a custom calibrated map for your engne. This is then followed by further dyno sessions and a power graph print out. As with all of JF Automotive's tuning work, we provide a 30 day money back guarantee, lifetime software support backed with our fully comprehensive underwritten insurance for added peace of mind. 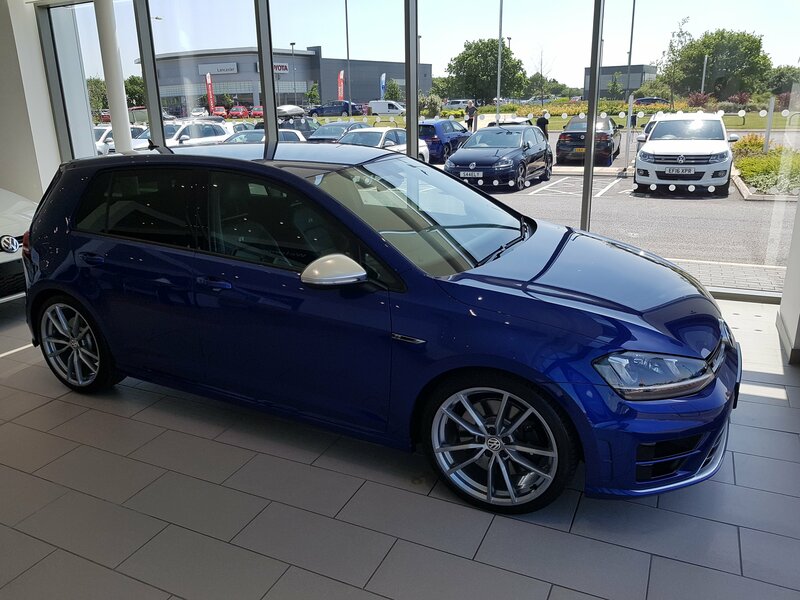 JFA Engine Remap £395.00 Inc Vat Optional Extras; JFA Gearbox Update-Tune £195.00 (Our gearbox TCU update offers the following benefits over and above our engine tune. faster gear shifts, smoother gear changes, faster reaction to paddle shift inputs and increased efficiency.) JFA Dyno Session £90.00 Performance Air Filter £POA Performance Exhaust £POA Total for Stage 1 Engine & DSG with Dyno is £680 Inc Vat. I have one sitting in my garage but it has no chrome tail pipes on it. I'm in Norfolk so not close to you really. Yours for £60 if you want it. Tips are really easy to get off just use a soft mallet of a small piece of wood with a normal hammer and tap them off from under the car. Only takes a few taps and you can then work them off by hand, they are only held on by sprung metal tabs. You could save yourself some money as your tips have had it and just spray them black using engine enamel paint and they then blend into the rear diffuser, which is what I've done to mine. Thanks for the reply will maybe do as you say and look at the cheaper option just incase its not for me. Thinking about getting a BCS Res delete but not sure if I will like the extra noise or not so wondered if there is anyone around the Norfolk area that has one fitted that I could have a listen to in the flesh. I know there are lots of Youtube videos but still like to hear on for real first.